Instagram Stories now support questions, with already existing yes/no polls and emoji sliders. 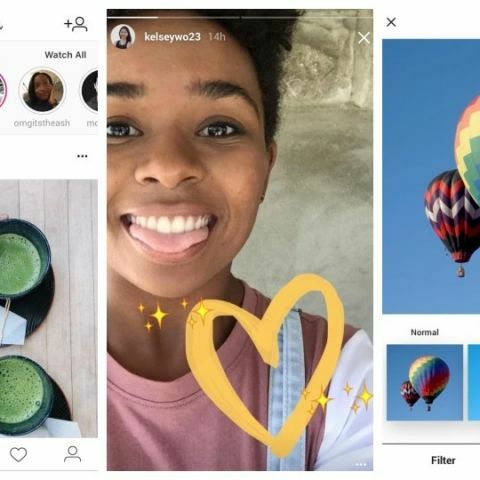 Until now, your followers could only reply to your Instagram Stories if they felt like, but now you can ask them questions within Stories to prompt a response. As reported by Android Police, this new feature is still in testing phase and hasn’t rolled out to everyone just yet. Apparently, Android Police was tipped by a user about the feature. Questions to your Story-viewers can be open-ended or contain yes/no polls and emoji sliders. For example, you could ask your friends to pull your leg over something you uploaded as a Story. It provides ample opportunity for casual tease and playful banter between friends. News of this feature comes a day after we told you about the new persistent Stories tab on Instagram. Another feature still in testing phase, it keeps the Stories tab fixed on the top of the screen even when you scroll down through the main feed. There’s no way of turning this feature off as of now. Also in recent news is Instagram’s new feature that lets you add background music to your Instagram Stories. When rolled out properly, you’ll be able to post ‘music stickers’ directly from apps like Spotify. This way you’ll have the freedom to sprinkle a little more colour on your daily Stories. Some other reports also talk of a new Instagram Lite app headed to Android smartphones. This new app is supposedly only 573 kilobytes in size and is aimed at emerging markets where internet is scarce, like Mexico.